No rear neighbours…I like that! Located in a quiet street, the location is premium. Outstanding in generous proportions, fresh interior and exterior styling, this home stands out in the crowd. From the moment you step inside you know you have found something special. The focus is bringing the outdoors indoors. Three living areas all overlooking the entertaining deck, rotunda and pool. Fully A/C, master separate from the rest, private access to the deck. Stunning kitchen, granite bench tops. 4 car accommodation.5 Kw solar. The many extras and appeal of this home is amazing. 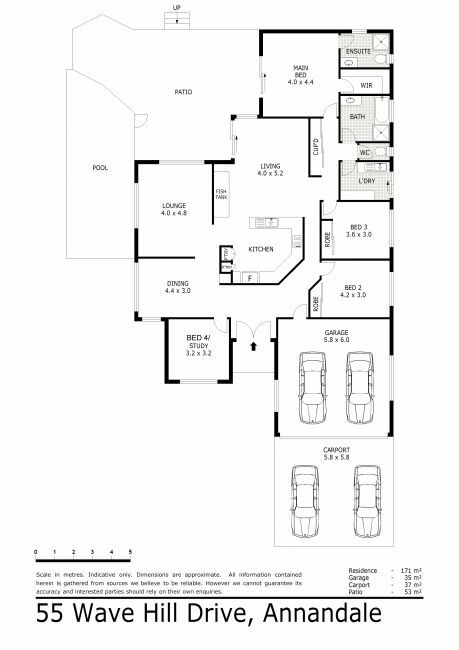 Layout with spacious living areas, outside deck, kitchen is in the centre of the house. 2.What advantages are there in living in your home? Close to all amenities and main roads but still nice and quiet. 3.When the family or friend visit, what do they point out as the benefit of your home? 4.What are the 5 best things about your home?